Mack’s® Dry-n-Clear™ helps relieve the discomfort of water-clogged ears from swimming, bathing, scuba diving, surfing, and other water sports by drying excess water. Mack’s® Dry-n-Clear™ helps relieve the discomfort of water-clogged ears from swimming, bathing, scuba diving, surfing, and other water sports by drying excess water. 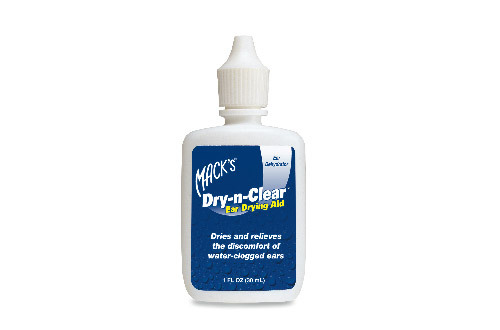 Mack’s® Dry-n-Clear™ is formulated with a unique moisturizing agent that dehydrates the excess water in the ear while conditioning the delicate lining of the ear canal. The applicator is ready to use (no nozzle assembly required).